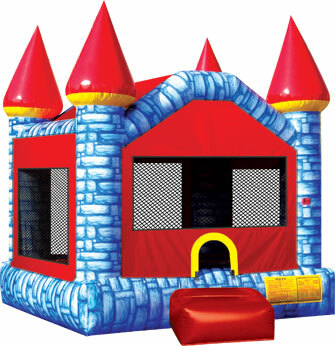 The newest bouncer for JUMPTOWN INFLATABLES is the Camelot Castle. It’s the perfect way to combine fun and healthy activity. This Jumptown Inflatable has 360-degree mesh windows, so parents and spectators can have a clear view of all the fun. Our bouncers are made safe and fun. Our Bounce Houses are bright and lively, providing over 250 square feet of of pure bounce.